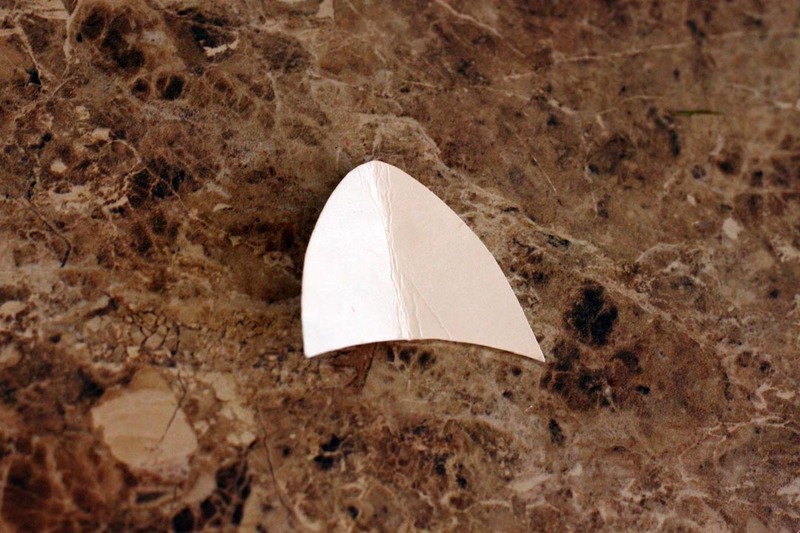 To begin, fold your sheet of paper in half, and on the fold, cut half of a cat ear shape–this way you’ll make a symmetrical ear. 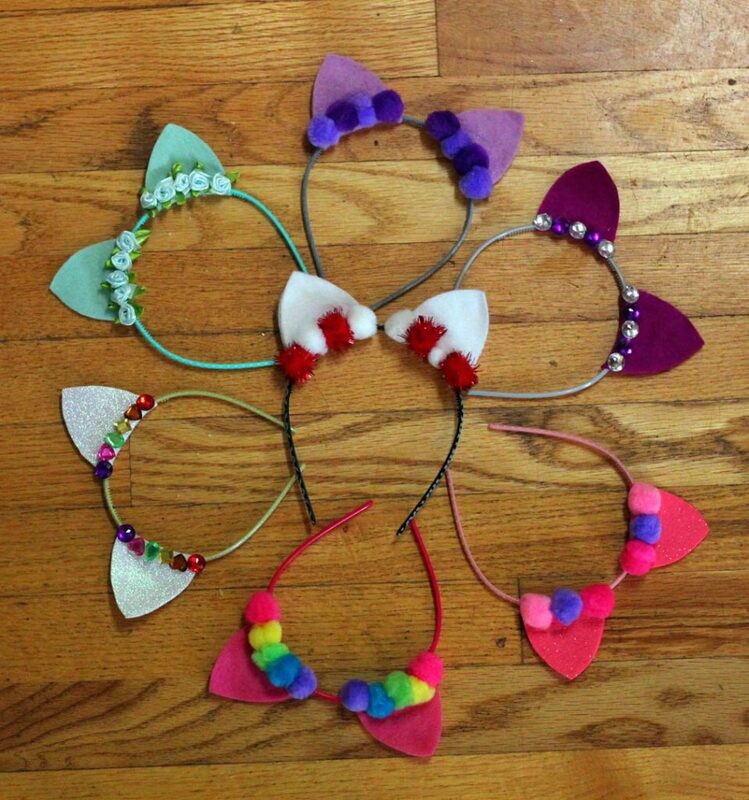 Also, if you’re making more than one pair, it’s nice to have a pattern, to make each set of ears look the same. We are going to fold the felt for the ears, and cut each ear on the fold, so the fold is on the bottom edge of the ear–this way it will wrap neatly around the headband. 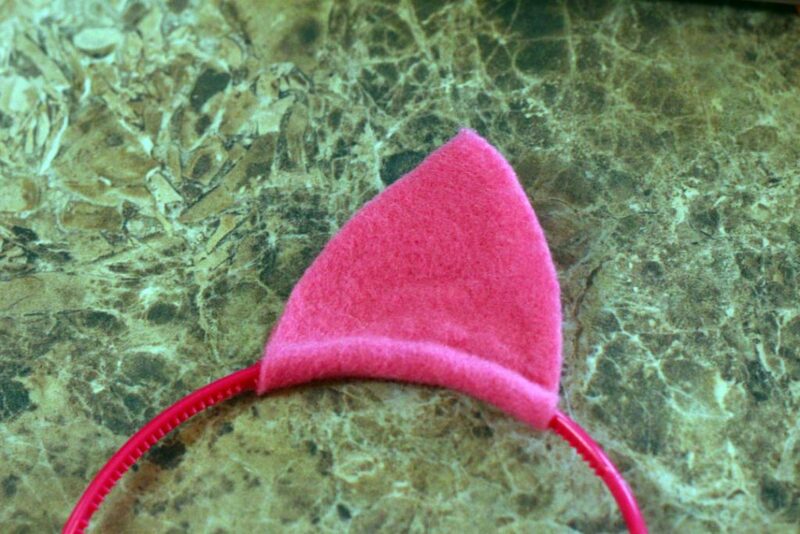 Cut two folded ears for each headband. 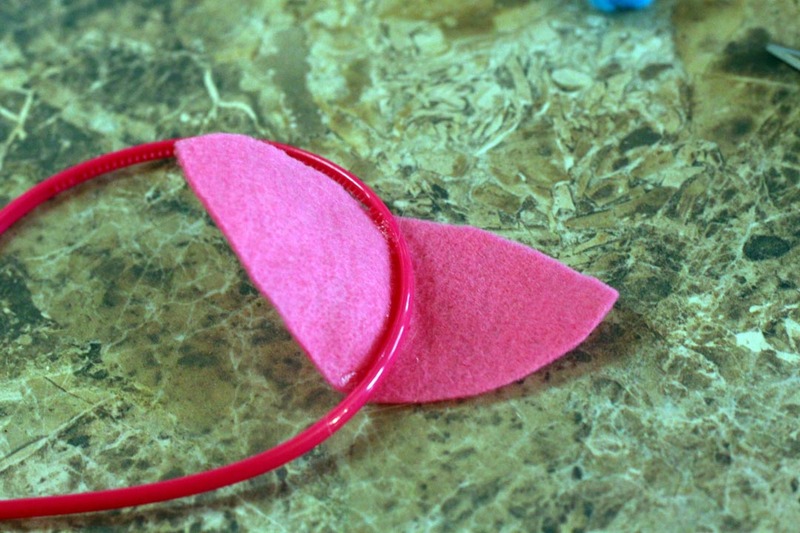 To attach the ears to the headband, place the fold of each ear under the band where you want it positioned. 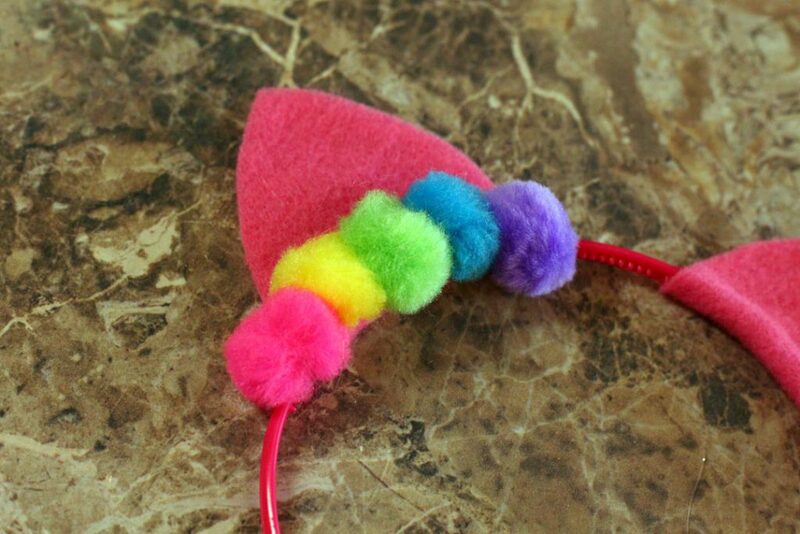 Next, apply hot glue on the bottom, and top of the portion of the band that will be covered by the ear, and then on the inside of the ear itself. Carefully pinch the ears together, sandwiching the band between the sides, so the bottom fold is flush with the band. 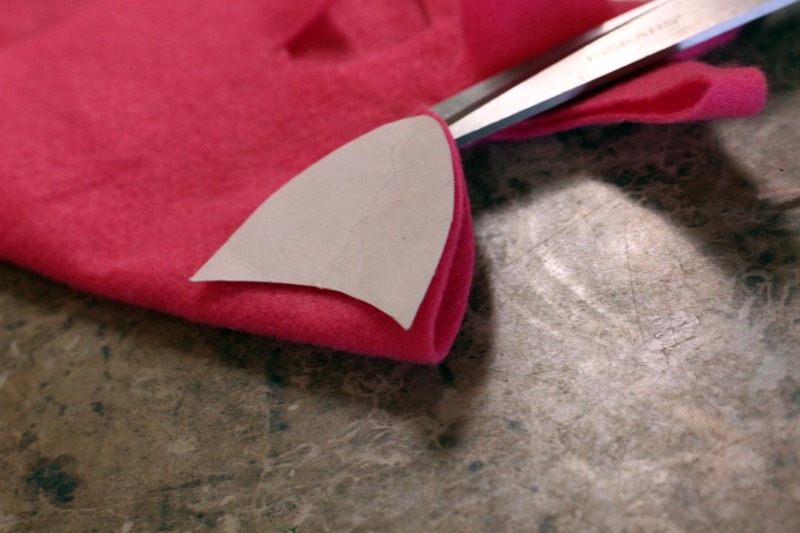 While the glue is warm, pinch the ears along the top of the band to center the ears on the top, and to help them stand up. Now the fun part–decorating your ears! 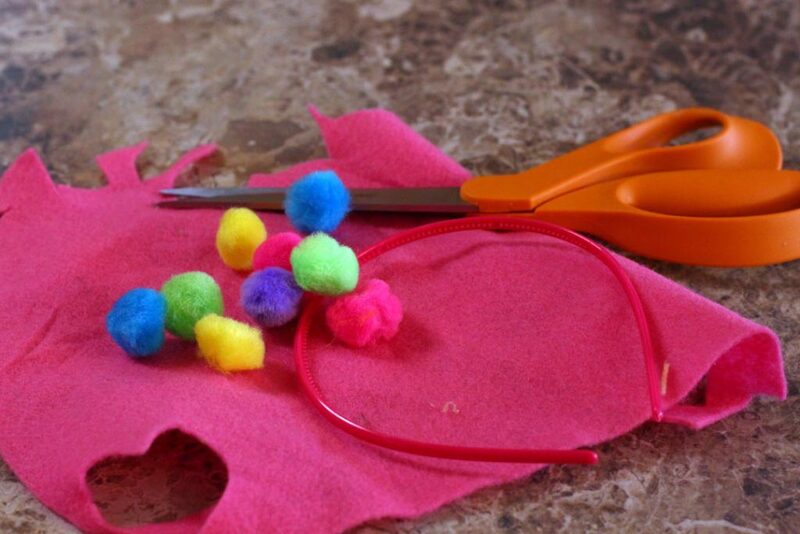 Use pom-poms, flowers, gems, and anything else you desire to embellish your ears. 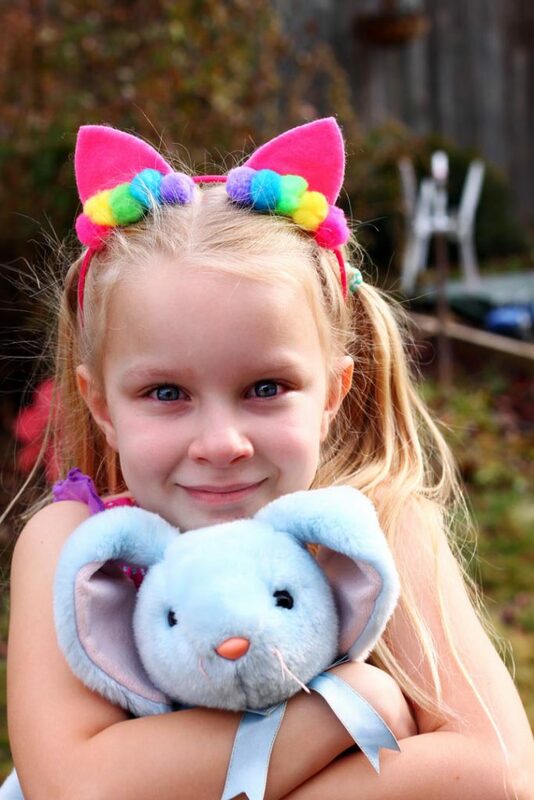 I made a bunch of sets of ears as gifts for little girls, and they were quick, and fun to make, and were received with much excitement by their recipients.